If you live or visit the beautiful coastal area of Southwest Florida, then you may be aware of the excellent scuba diving and fishing that abounds in this FL region of the Gulf of Mexico. Millions of people flock to the state each year in search of the perfect diving vacation. You can experience it too and create lifetime memories. Vacationers come from all over the world to experience some of the wonderful marine life that is available on many different artificial reefs, natural reef bottom, ship wrecks, natural springs and other special areas that are scattered throughout the Gulf waters off of Charlotte and Lee County, Captiva, Sanibel, Fort Myers; and Collier County, Naples and Marco Island. There is a lot to explore. There is much to see and explore when you dive around this area. You can experience sunken ships, scuttled boats, artificial reefs and natural bottom structure. • Fishing and Diving spots off Lee County FL: The compiled list includes GPS coordinates of wrecks, artificial reefs and other fishy spots. See this cool video of a scuba diver who was enjoying his time on the bottom around one of the many natural bottom areas in the SW Gulf of Mexico. You will see him stalking huge goliath groupers along rock ledges. He also stalks with his speargun for hog snapper and gag grouper through an area of sand and grasses. For fishermen, it gives good insight as to what some of the natural reefs look like in this SW FL area. All in all, it looked like it was a fun dive. 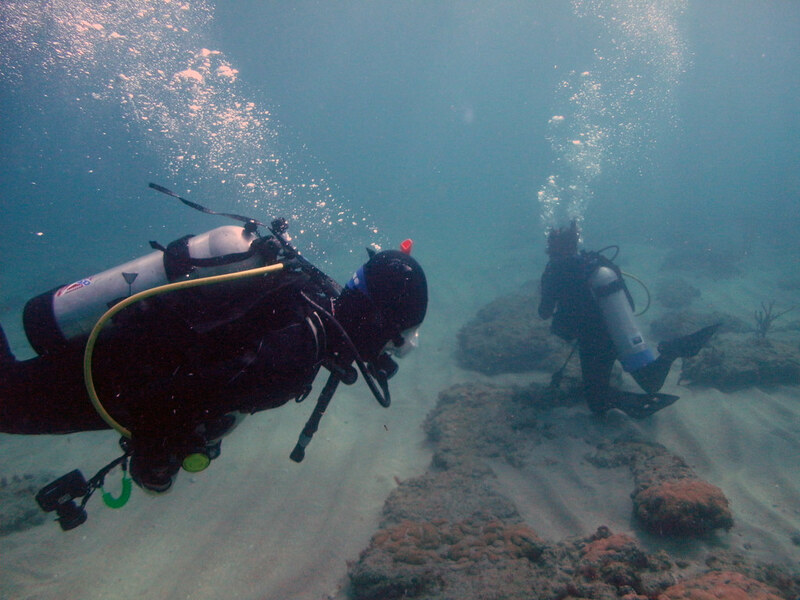 When diving, make sure you are with a buddy or a group, and always file a float plan of your day on the water. Enjoy all that the area has to offer, but also stay safe.